When making your way home after a long day of work or study, wouldn’t it be nice to know you’re heading for a pristine community designed for your convenience and pleasure? At Charlesmont Apartment Homes in East Baltimore County, we understand that you want a home that provides the kind of luxury and comfort that helps make each day more enjoyable. That is why our studio, one, two, and three bedroom apartment homes are fully equipped with refreshing air conditioning and cozy gas heat, as well as private outdoor spaces perfect for relaxing. 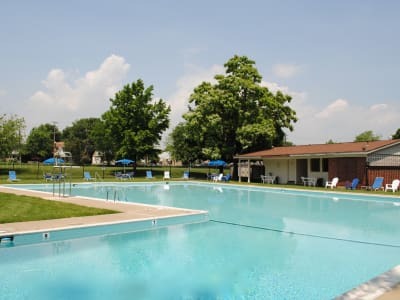 And with a large swimming pool and playground for the kids, there’s plenty of opportunities to enjoy your down time close to home. Contact our helpful team of leasing professionals today to schedule your personal tour of our pet-friendly Dundalk apartments.